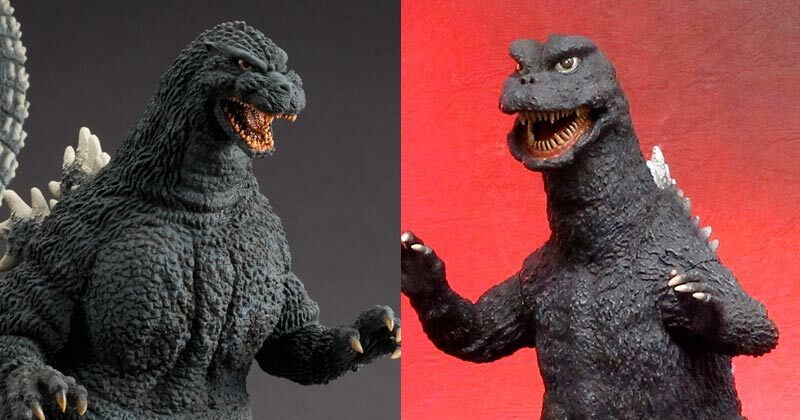 New X-Plus Yuji Sakai Godzilla 1991 Shinjuku Version and Godzilla 1971 Returns! Yesterday, X-Plus made two exciting announcements for the Japanese market sure to get your attention. Let’s start with something old made new again. 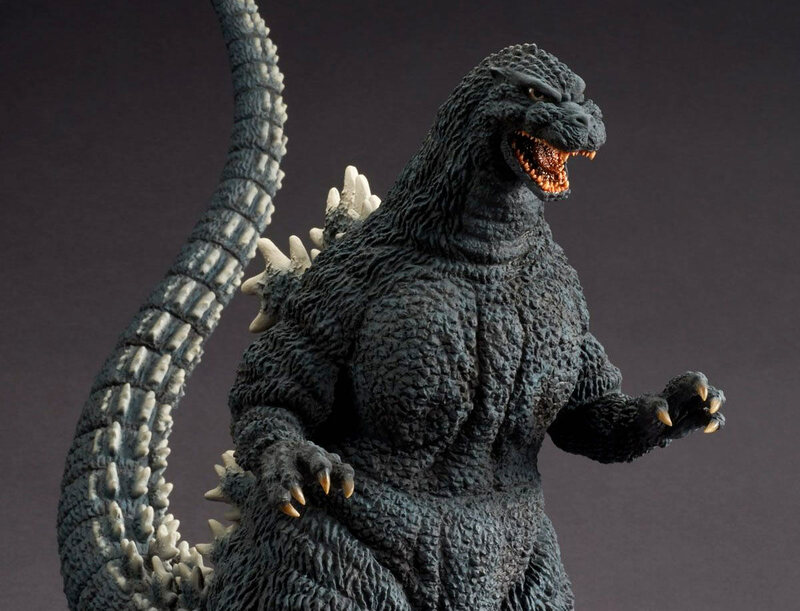 The “25cm Series” Godzilla 1971 originally came out in 2011 and was never seen again. It’s been one of those really hard-to-figures and has been on far too many wish lists for far too long. Finally! Time for a re-issue. Enter the Toho Large Monster Series Godzilla 1971 (Showdown Image) Shounen Ric Exclusive (東宝大怪獣シリーズ ゴジラ（1971） 対決イメージVer. ショウネンリック限定商品). 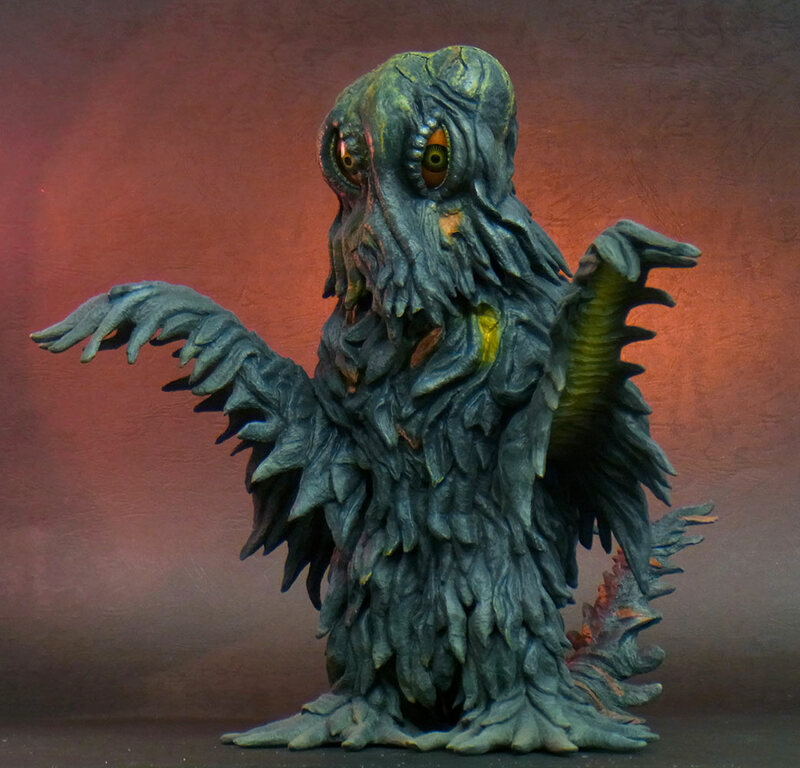 This is the same sculpt from 2011 with a slightly modified paint scheme meant to mimic Godzilla’s appearance in the night time final battle with Hedorah. X-Plus reports that the skin will be darker with a tinge of blue to mimic the monster’s look at night. They also refined the color on the dorsal fins. 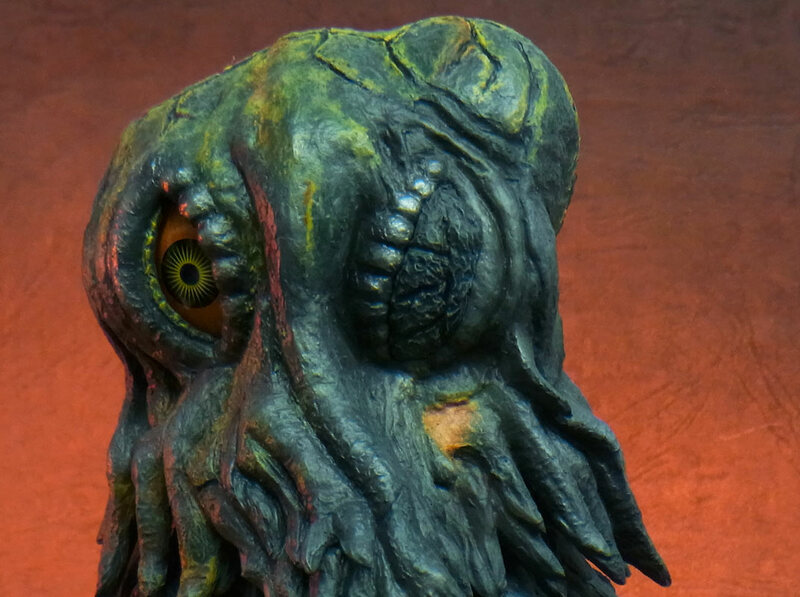 You’ll also get to replace Godzilla’s left peeper with the eyelid he closed after getting hurt in battle with the toxic Smog Monster. Don’t quote me on this, but I think the eyelid may be a separate piece which you just pop into place. I’ve never had this figure before and I’ve been waiting to get my hands on one for a long time now. 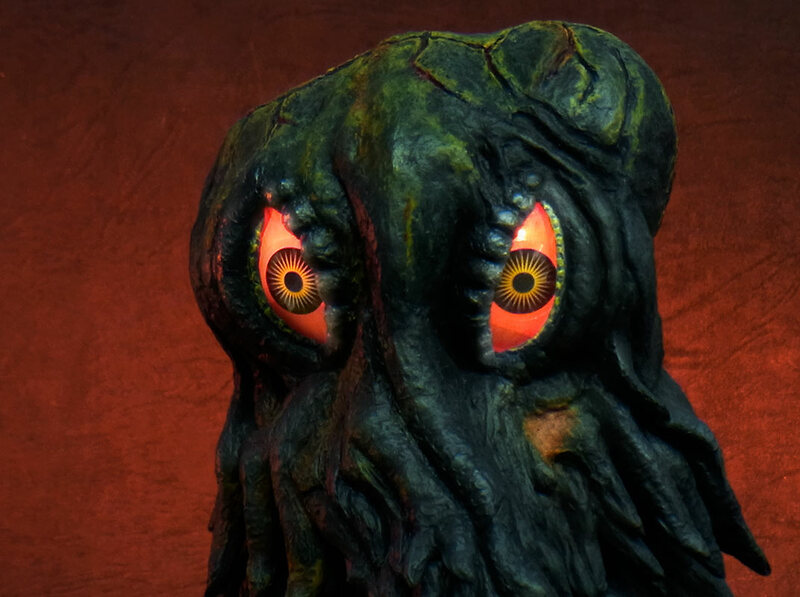 The timing of this re-issue is no coincidence since the new Toho Large Monster Series Hedorah (adult form) will be released in a couple of weeks. You’ll be able to pose these two face-to-face on the shelf. 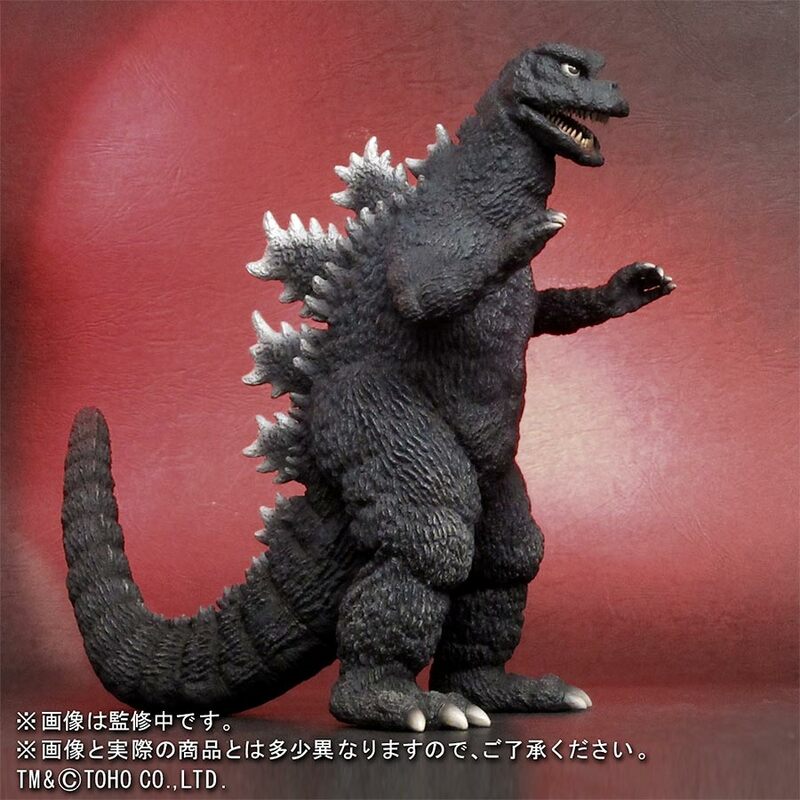 The Large Monster Series Godzilla 1971 exclusive Ric version is about 23cm tall (9 inches) and it will cost you ¥14.040 (currently about $126 USD) and it can be purchased directly from X-Plus on their Shounen Ric website. The site is in Japanese and you’ll have to use a forwarding service like Tenso.com to get it since they won’t ship directly to you. A much better option would be to order through California dealer Mike Johnson. You’ll find info on how to do that at Rich Eso‘s Fresh Vinyl site. The pre-order window for this figure is open now and will close on June 20 at 6pm Japan time. I think that’s 5am Eastern Standard Time. This figure is expected to ship in August. This figure will not be available later in North America. Bluefin Distribution holds the license for this series in the U.S. but they have no plans to offer any other Large Monster Series figures other than Biollante and King Ghidorah 1968 at this time. So order one NOW. Sorry, we were late on this one. We weren’t able to order them on time. Flossie’s will NOT be carrying this figure. Next up, a new Yuji Sakai figure. Or, at least, new to X-Plus. The Toho 30cm Series Yuji Sakai Modeling Collection Godzilla 1991 Shinjuku Version (東宝30㎝シリーズ 酒井ゆうじ造形コレクション ゴジラ(1991)新宿バージョン) is now available to order. 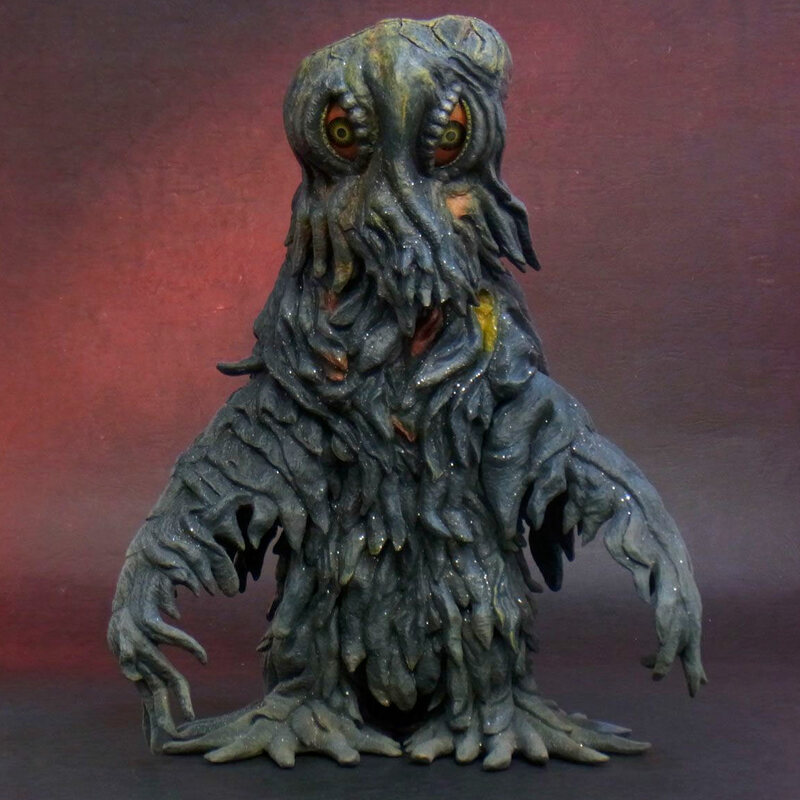 This is the 5th figure in the Toho 30cm Series Yuji Sakai Modeling Collection. And it is the 6th if you count the Gigantic Series Godzilla 2000. 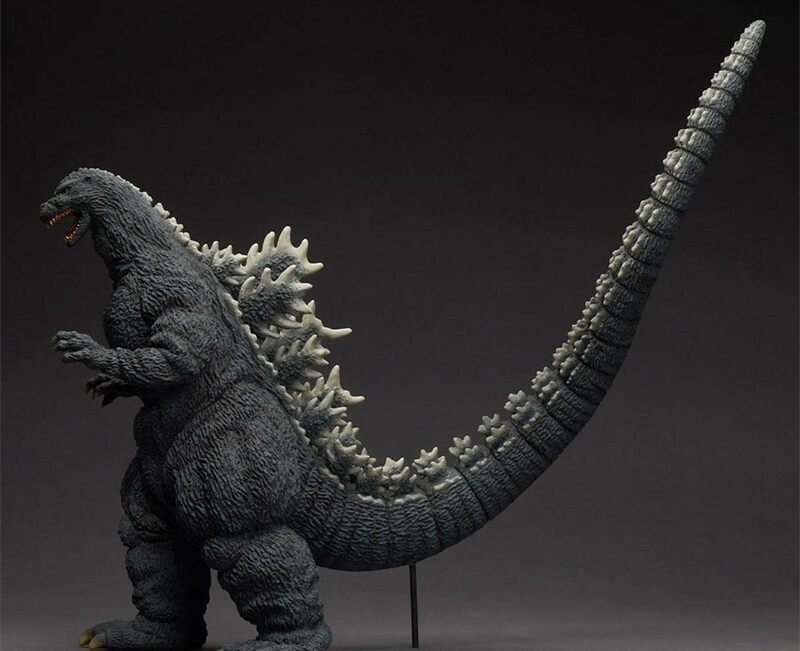 It features a sculpt based on Godzilla’s appearance in Shinjuku from 1991’s Godzilla vs. King Ghidorah (ゴジラvsキングギドラ). For those of you who already own the Toho 30cm Series Yuji Sakai Modeling Collection Godzilla 1991 Hokkaido Version: this not just the same suit in a new pose. During the Heisei films there were usually two suits in every film. The main suit from the previous movie would be used in the next as a “water suit” for ocean and bay scenes. In the case of Godzilla vs. King Ghidorah, the Goji we saw in the water and on land in Hokkaido was the water suit from Godzilla vs. Biollante. A word of warning: Yuji Sakai’s insistence for keeping his tails up in the air (almost always requiring a tail base) is on hyperdrive on this figure. From some angles, the tail shoots almost cartoonishly upward as if someone just stepped on his foot. This odd feature shouldn’t be much of a concern since most of you will be posing your figures face front on the shelf. 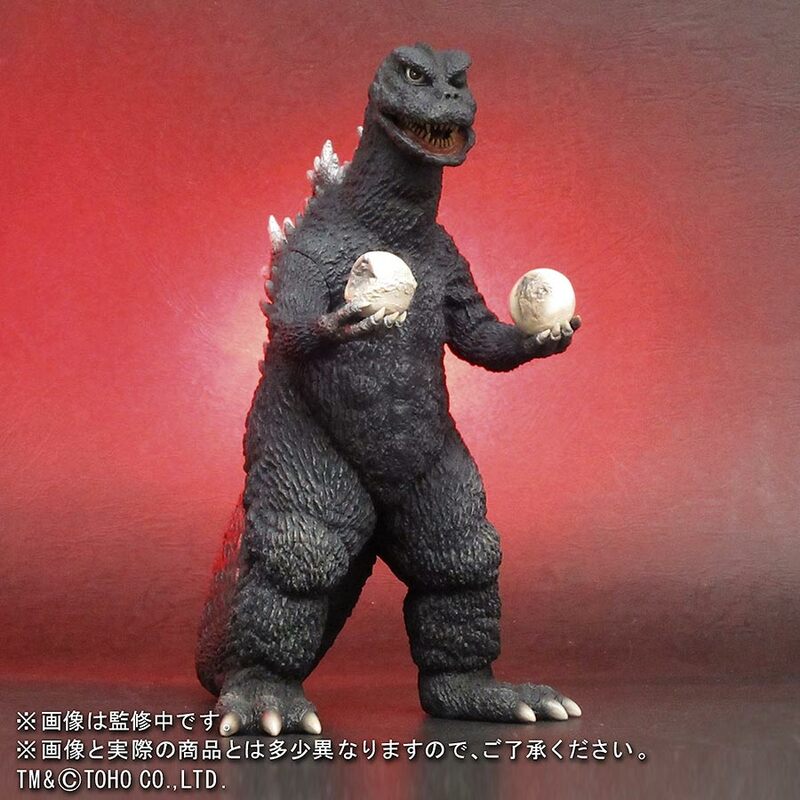 The 30cm Series Yuji Sakai Modeling Collection Godzilla 1991 (Shinjuku Version) will be available as a Standard version and also as a Ric Boy which will come with light-up fins. It will be about 27cm / 10.6 inches tall. On the short side for a 30cm figure, but it will fit right in with the rest of your X-Plus / Sakai collection. You can preorder the Ric from X-Plus’ Shounen Ric site (see above) for ¥28,620 (currently about $257 USD). Pre-orders are open now and will end on June 20. The Standard Version — without the light gimmick — will be available from the usual haunts: Hobby Search ($202), AmiAmi ($201) and Hobby Link Japan ($230) for less money. All three stores have English versions of their sites, are easy to order from and will deliver directly to you. It’s possible that a North American re-issue will be available next year in the U.S. if the deal between X-Plus and Diamond Distributors continues. Why chance it though? 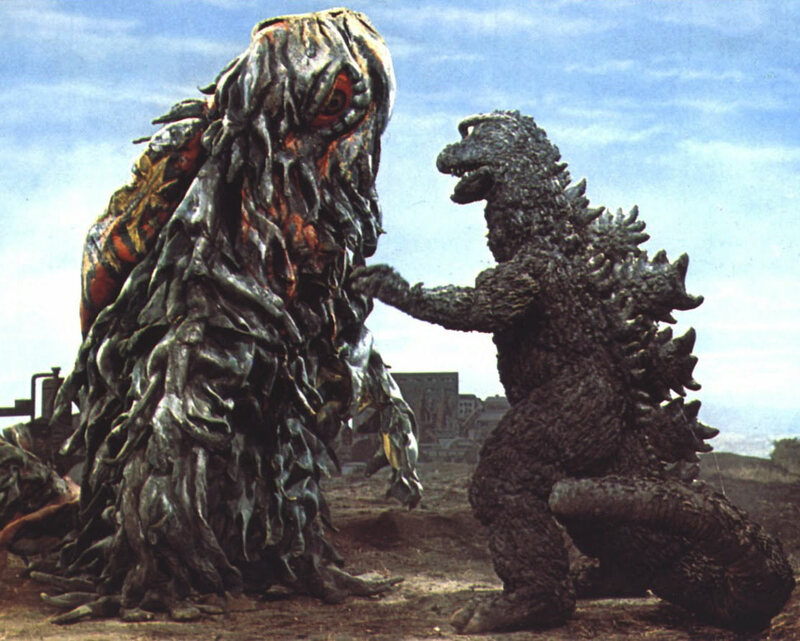 By John Stanowski|2017-06-26T12:13:37-04:00May 30th, 2017|Categories: X-PLUS NEWS|Tags: 1971, 1991, 30cm Series, Godzilla, Large Monster Series, Yuji Sakai|Comments Off on New X-Plus Yuji Sakai Godzilla 1991 Shinjuku Version and Godzilla 1971 Returns!